Jesus came down from the mountain where His glory shined forth for a few moments. The Lord was transfigured into light and only Peter, James, and John were there to see Him as He spoke with Moses and Elijah. It was a magnificent time, and the disciples were told to say nothing about it. The four of them came down from this bright and beautiful scene and back into the way of our world, the way of warfare and contention and failure. At the bottom of the hill, something very different was taking place. A grieved father ran to Jesus. His son was vexed by a spirit that threw the boy around. At times, the boy was cast into water, at other times he’d been pushed into fire. The father brought the boy to the followers of Jesus. They were known to have the power to heal. This case, however, proved too much for them. They were powerless in this situation. It was this way, Jesus said, because of their “little faith.” He then told them that what they needed was faith “as a mustard seed.” Such mustard seed faith makes the impossible possible, such faith moves mountains. 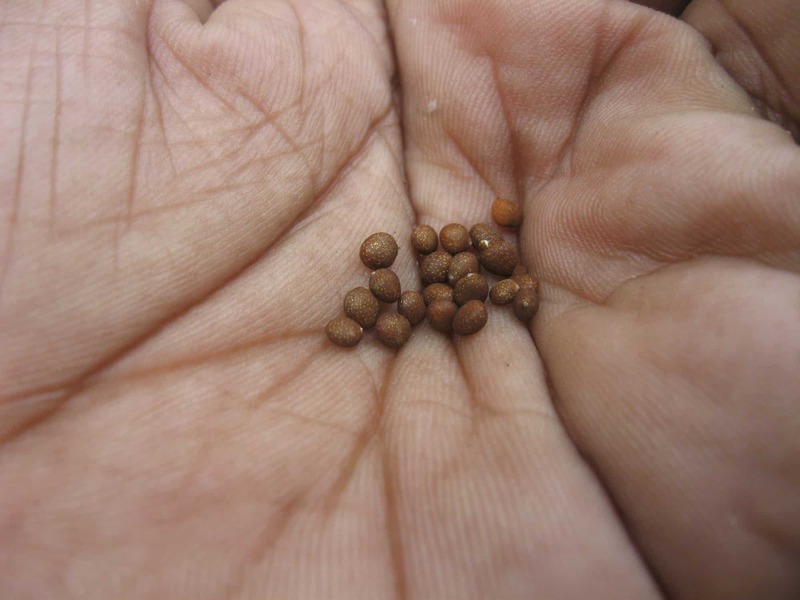 But, wait, aren’t mustard seeds tiny – almost microscopic? Yes, they are. What’s the distinction being made here between little faith and mustard seed faith? The distinction is life. At the center of every seed is life. Beneath the husk, under its surface, every seed possesses the potential to take root, shoot upward through the soil, and bring forth fruit according to its kind. A seed goes into the ground. There in the dirt and darkness, a seed finds its way to freedom. It dies a kind of death, and it sheds its shell. The roots first push deeper and the plant gets grounded. After this, it sprouts toward the surface, seeking its way to the light and the water that it needs to soak up in order to become all that it’s supposed to be. Whatever faith the disciples were practicing while Jesus was up on the mountain was a faith absent of life. Therefore, their efforts to heal this boy were unfruitful. They’d been with Jesus for some time now. They had once been commissioned and sent out to spread the message of the Kingdom, to take the Good News of the Messiah’s presence to the lost sheep of Israel. As they went, the Lord blessed their labors in the most amazing ways. They came home from their travels with stories of power and miracles. Eyes were opened, tongues were loosed, limbs were made new, demons were driven out. The disciples were giddy over the successes that they had seen in their work. Who wouldn’t be? Being used by God is wonderful. The sense of anointing and presence should move a servant of the Lord to rejoicing. But this sense, too, can become intoxicating. It all too easy for us to grow familiar with what God is doing. Jesus made reference here to the book we read about in John’s Revelation. Our names are there on those pages. This is the real joy of who we are as human beings. God knows us and loves us. He’s told us these things in the clearest of terms in His Word. “I am come that you might have life and life more abundantly,” (John 10:10). “If you abide in My word, you are My disciples indeed. And you shall know the truth, and the truth shall make you free” (John 8:32-33). How much do we ponder these promises? These realities must become deeply rooted in us. Jesus spoke of our hearts and the seed that comes to them. Fruitfulness results when the seed, His seed, finds its rest in good soil. There, free from entanglements, it grows and produces a bounty that others can also enjoy. I want to be careful and avoid leveling any criticism on the disciples whose faith faltered at that moment in the gospels. Like the father of the demon-affected boy, the disciples’ unbelief needed help (see Mark 9:24). Jesus took charge and ordered the spirit to depart, which it did, eventually, after making one last ugly scene. With howling and contortions, the spirit exited as the lad was thrown down so that he appeared dead. The Lord lifted him by the hand and presented the boy alive and well, at last. These disciples did not dismiss the matter. Surely, they felt a measure of defeat. But they did not run and hide – that they would do another time. They came to Jesus to learn from Him. The exhortation here is this: Think life and life alone. Focus upon the true, the honest and the just, the pure and the lovely, the good and the virtuous. Consider only the praise worthy. I believe a narrower viewpoint along these lines does wonders for “little faith.” It helps us to go large in our thinking with God. It holds a seed and sees life at the heart of it. It imagines eternal possibilities. It knows the Son and waits upon the Lord. In renewed strength, this faith is the faith that soars.